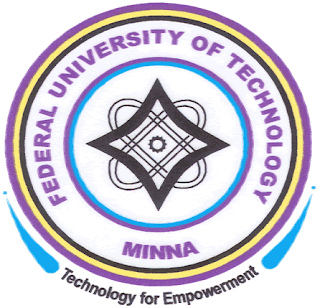 Federal University of Technology, Minna (FUTMINNA) Graduates Four Thousand, Four Hundred and Forty Three (4,423) Students, Out of which 72 Bags First Class Honors During 28th Convocation Ceremony and 36th Founders Day Celebration. No fewer than 4,443 graduating students will be graduated during the 28th Convocation Ceremony and 36th Founders Day Celebration scheduled to hold in February, 2019. The Vice Chancellor of the The Federal University of Technology, Minna (FUTMINNA), Prof Abdullahi Bala, fsssn, disclosed this on Friday, January 25, 2019 during a press briefing held at the Senate Chamber, Main Campus to kick off activities for the convocation. See Also: FUTMINNA 28th Convocation Ceremony Programme of Events 2018. The VC revealed that out of the 4,443 graduating students, 3,671 will receive first degrees, 506 will be awarded masters degrees while 58 will bag PHDs and 208 will be awarded post graduate diplomas. The graduands are from the schools of Agriculture and Agricultural Technology (SAAT), School of Electrical Engineering and Technology (SEET), School of Entrepreneurship and Management Technology (SEMT), School of Environmental Technology (SET), School of Information and Communication Technology (SICT), School of Infrastructure and Process Engineering and Technology (SIPET), School of Life Sciences (SLS), School of Physical Sciences, School of Science and Technology Education and four affiliate institutions: Federal College of Education (Technical) Akoka, Lagos, Federal College of Education (Technical) Potiskum, Kaduna Polytechnic, Kaduna and Plateau State Polytechnic, Barkin Ladi. The VC noted that as a departure from previous years, there will be no Science and Technology exhibition this year because the students and their supervisor’s whose projects usually form the bulwark of the exhibition are not on ground on account of the ongoing ASUU strike. In its place, he said the University had organised a football competition for primary schools in Minna. He commended the journalists for their consistent and balanced coverage of University events and assured of University’s support as they carry out their function as members of the fourth estate of the realm. Delivering the vote of thanks, the Chairman, University Ceremonies Committee who is also the Deputy Vice-Chancellor (Administration), Prof Emmanuel Udensi thanked the journalists for honouring the University’s invitation and sought for their continuous support throughout the convocation ceremony. The Chairman expressed appreciation to the members of the University ceremonies committee and other University staff for their support.